Yes, my firm belief is that this should be a staple on every coffee lovers work desk. 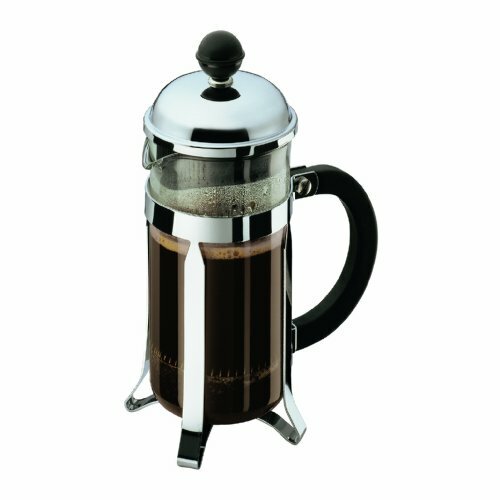 The trusty old french press is simple to use, easy to clean and only requires a hot water source. With the ability to chose a size that suits your needs, the french press offers a simple office coffee solution that produces a great brew. Now this is my favourite! Think plunger and travel mug - in one! This is my weapon of choice at work. The plunger cup offers the convenience and ease of use of a french press, with the ability to drink straight from the thermos. 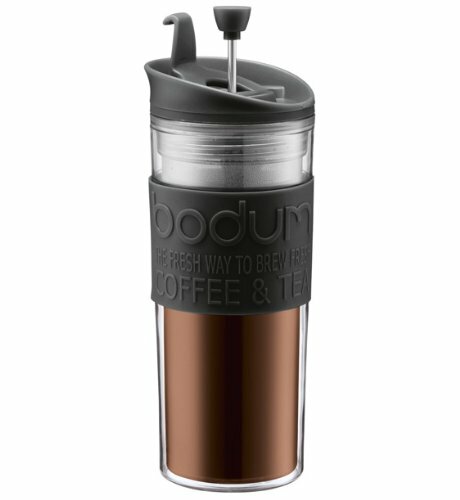 This means that the insulated cup keeps your fresh coffee hot for those times you get a little distracted. The other benefit here is that they are usually made from plastic instead of glass meaning they are unlikely to shatter and give your OH&S officer a panic attack. Now this is a serious coffee gadget for a serious coffee geek. If you whip one of these out in the office, your co-workers know you mean business. The Aeropress is renowned for its ability to produce a smooth and rich brew thanks to the extraction process it uses. 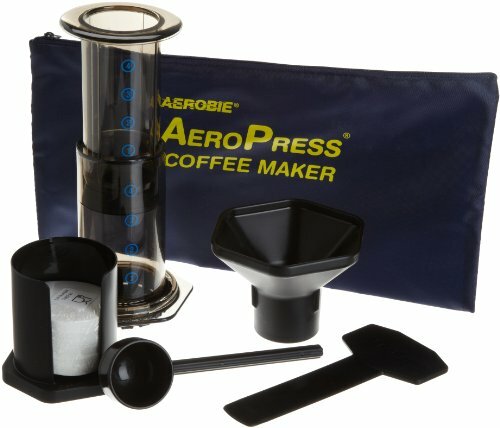 Unlike a French Press, the Aeropress passes the brew through a filter so you will have a grit free beverage to enjoy. The downside? Well, it may be a little bit fussier to set up and clean than a simple old French Press. However if you put an emphasis on quality, this may be the coffee gadget for your office! The Koziol Unplugged Coffee Maker, brings power free percolator coffee to a desktop near you! 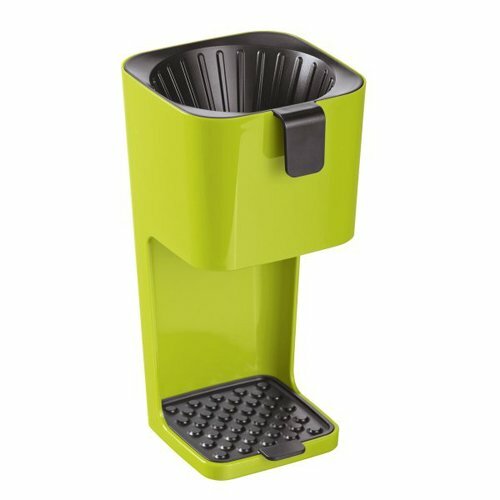 Simple to use, just add your choice of pre-ground coffee to the filter, place a cup underneath, pour boiling water over coffee and in minutes you have a freshly brewed coffee! Available in some funky colours this is sure to brighten up even the dullest of office desks. What do you think of our list? We would love to know what weird and wonderful coffee gadgets you use at your workplace to satisfy your coffee cravings - be sure to let us know using the comments below.